Let’s have some fun with the ladybugs! This sweet printable ladybug pack is perfect for kids in kindergarten and preschool. 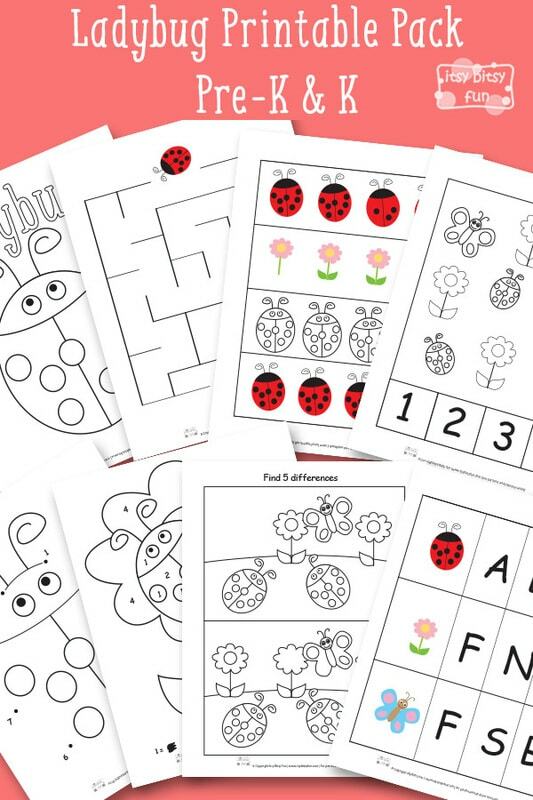 You can even expand it with ladybug scissor practice worksheets (which can also be used as pre-writing skill practice) – I think this is the perfect learning theme for spring! There are quite a few different “worksheets” in this pack and they will help with learning some letters, numbers and much more. there is one coloring page with this cute little bug. there is one page with a maze where our little dotted creature is on a mission to reach the flower. there’s one page where kids have to spot an image that is different in the row. there is one page where kids have to count either ladybugs, butterflies or flowers and circle (or color) the correct answer. one page has a super simple dot to dot with numbers from 1 to 9.
one page has a find the differences images with 5 fairly easy to spot differences. 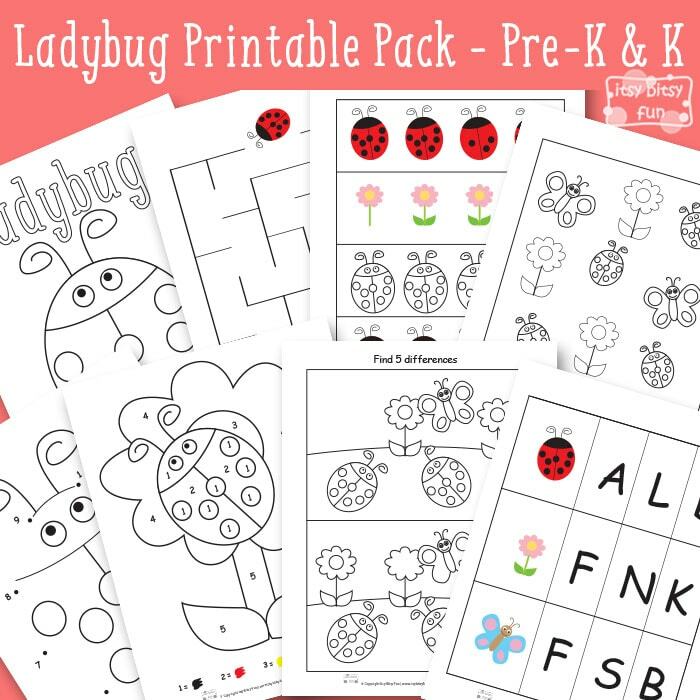 Get your free printable Preschool and Kindergarten Ladybug Pack here.